Todd Heisler, Pilitzer Prize awardee and New York Times photographer tried out the prided camera technology built in by Apple Inc. in their iPhone 6. What is better way to test the newest installment of the iPhones series than to be used by a professional photographer. According to Heisler, while iPhone had done predictable improvements such as better auto focus, bigger screen and better quality of the images, they also went out of the bow and added features that stood out. Optical image stabilization had been added for the iPhone owners while the size already makes the camera easier to hold still. 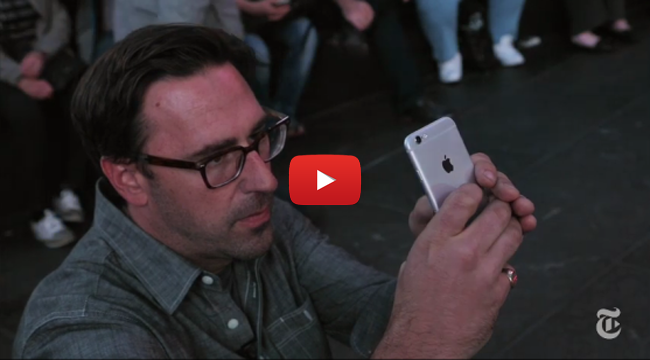 One of the most talked about feature of iPhone 6 is the slow motion video. Things seemed be more interesting and somehow look in a totally different way because it has a beautiful sentimental quality into it. He also voiced out his surprise on how smooth it looks and how light is controlled. Time lapse is one of the added feature but Heisler said that an average person might have some difficulty with it. A steady hand and a lot of patience is needed to make the vid sync. One of the biggest limit of smartphone cameras is the lack of control with the light exposure, and this had been an improvement with iOS 8. The use of light is the key to a great photo. There is a slide feature that makes it easier to finely adjust the light exposure and it is also available while taking videos. In addition, there are a lot of tools to tone and process the images in any way he wants. It fine tunes the images in light, tone, contrast and color that make a third party app unnecessary. The camera of iPhone 6 is becoming to be something that he would soon rely on. He said that every camera has a limitation but the trick is how you deal with it.